ny thrifters out there? Just kidding! I know you are there because I read your posts at linky parties all week long!! 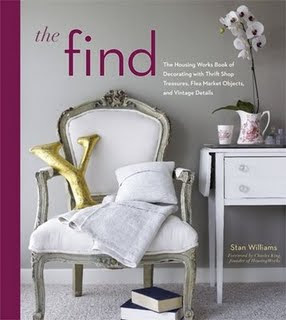 Well, dear thrifters, I introduce you to Stan Williams, known as "The Elegant Thrifter" and author of "The Find." Stan recently emailed me about my JunkMarket Contributor Challenge in which I used a vinyl record as a silverware holder in a place setting. 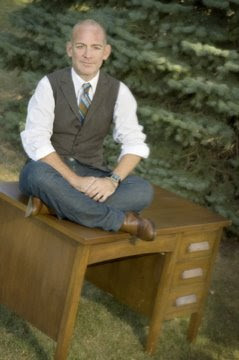 He asked to interview me and then posted the interview responses in a wonderful post called, "The Gift of Thrift: Repurposed Pop!" Thanks, Stan, for the great responses! I've learned a lot!! No garage sales? I can't imagine Minnesota without them! But the FREE stuff on the side of the road and the thrift shops sound fabulous!! I know where I'll be stopping when I make it to New York someday! I also love the concept of the thrifting experience being more important than the thrifted purchase. Seeing new things and imagining how you might use them is 99% of the thrill! It's the same feeling I get when I read other people's blogs! WHAT DO YOU THINK, BLOG READERS? Is it the thrifting journey/experience or the actual thrifting purchase that gets your thrifting heart aflutter? For me it's the thrill of the hunt. Searching boxes and boxes of junk to find that one treasure that everyone walked right past because they didn't want to dig through the junk. It's even more exciting when you're not quite sure what you want but you will know it when you find it and then you do find it in the most unusual place. I agree about the thrill of the hunt. I didn't grow up thrifting or garage saling, althoug my family was thrifty. In the past few years, though, I've done it a lot and found some really wonderful items. 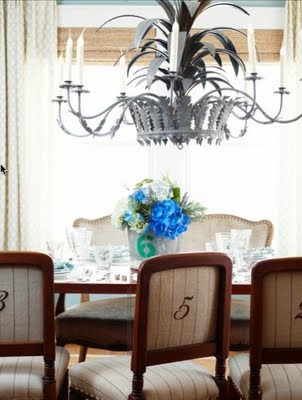 I feel so humbled that you featured me on your beautiful blog. Truly, it means so much to me that you have shared my labor of love with all of your readers. My sincere thanks to you from the bottom of my heart. I think this is a great story. I've so been wanting to buy his book, now this just makes me want it even more. Will have to go to the bookstore this week. Now, I gotta buy the book! I get as giddy as a school girl with the hunt. Today, I just picked up a mirror that someone left outside the paint store and was so excited that I nearly forgot to go buy paint! I don't know why they left it there, but obviously, it was meant to be thrown in my truck and taken home. Great Interview and so much of it I can relate too...I love finding just that one special piece that has so much history and love...I think the thrill lies in the act of thrifting, never knowing what you will find...and i agree buy what you love, not just to buy! thanks Amy! Of course its the thrill of the hunt! Not knowing what is there is the best. Great interview and now another blog to check out. 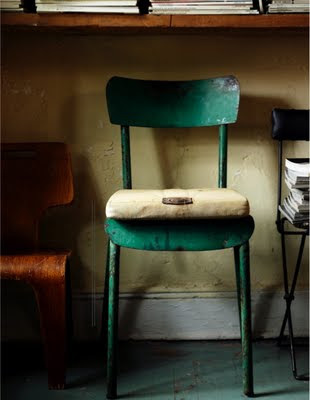 The photo of the green chair sits well with me. I do love the journey even more than the actual finds, well usually-I do have a few items that I adore that I've found along the way. But they serve more as a reminder of the journey to find them, that they've found a home with me is just icing on the cake! I'm a big fan of Stan's but the best part of this interview is getting to find out about this blog! Great interview Amy! I feel priveledged to call Stan a dear friend. I met him after I featured his book on my blog and conducted my own interview. I'm so happy that others are seeing what an exceptionally talented man he is! I'm hoping to get him out to Antiques Weekend here in Texas with me this Fall for a book signing. Keep your fingers crossed! Girl, that was so well written. I had to go over and read your interview as well. Very good, grasshopper! I love the thrill of the hunt, but I love the money to be made from the kill even more! Nothing beats strapping a great find on the hood of the car and bring it home to my man! Oooh, I must get his book now that I am the Thrifty Mom of the Junk Bonanza! I think he really provides true inspiration....great interview! For me, its the thrill of the hunt mostly, but I love when I find a treasure that stills my heart. Therapy for daily stresses in life, are slipped away when on the hunt. Enjoyed this interview so much, and will be checking out this book next time I get to the book store. Just ordered "Blogging for Bliss" last night, and now I'll have to search out this great book next. Really enjoyed your interview. It's very informative. Good job. It's all of it. I have changed thru the years. I can leave things for others where before I had to have it all. Great interview with the Elegant Thrifter. I recently bought this book and am really enjoying it. Your blog is such a source of inspiration, and I am so glad Stan found it and featured your project as YOU should also be publishing a book!!! Definitely the "hunt" - the journey, the experience! Thrilled to be in such good company.